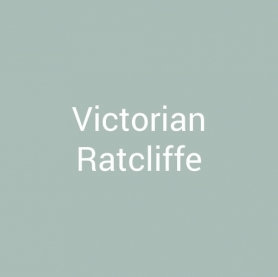 The majestic Ratcliffe at 8’7” wide can be built to any length using 8’1” extension modules. 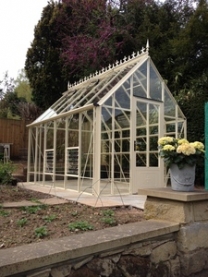 The combined use of our box section ridge and R-box glazing bars provide stability with the Robinsons unique Pro-cap glazing system providing the added strength required whilst retaining the elegant finish expected in such a feature greenhouse. In addition, the cast aluminium spandrels on each glazing bar at eaves and ridge height increase the strength and improve the Victorian look. 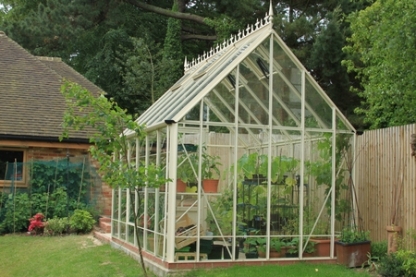 To accommodate the faster flow of rainwater running off the 45-degree pitch Victorian roof the elegant Victorian style extra wide guttering ensures that the water runs into the downpipes for collection and use if you wish. 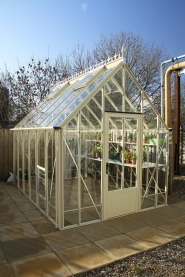 The Ratcliffe is well appointed with adequate ventilation provided by plentiful automatic roof vents and a generous number of louvre vents, both of which vary in number depending upon the length of the greenhouse. Fix to existing louvres for auto-opening. Ideal to help you control the environment during the hotter weather. 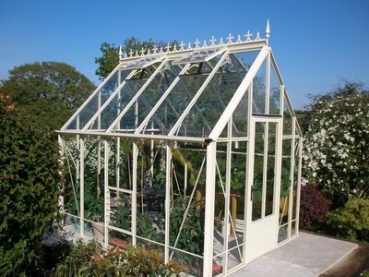 Horticultural grade shade netting specially made into a kit for one side of the roof. Fully height adjustable for more work space. 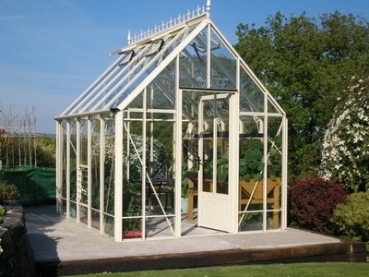 Use the form below to enquire about this product.